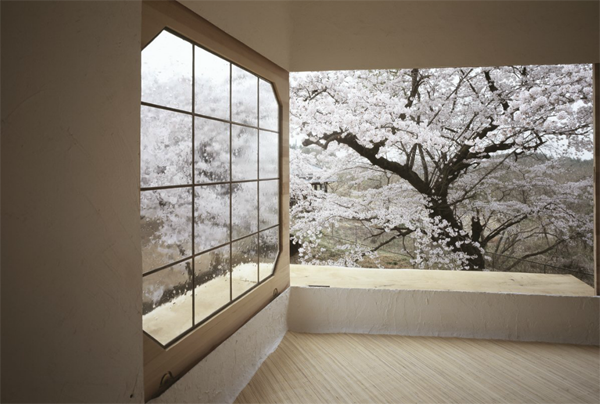 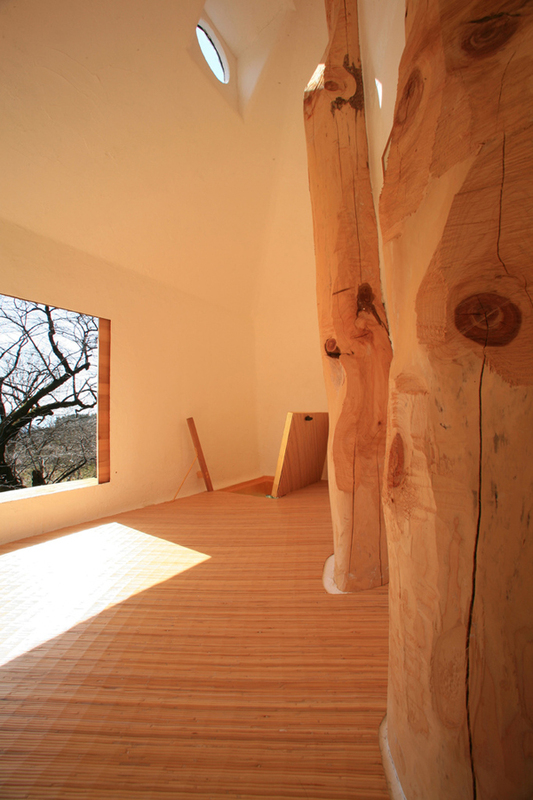 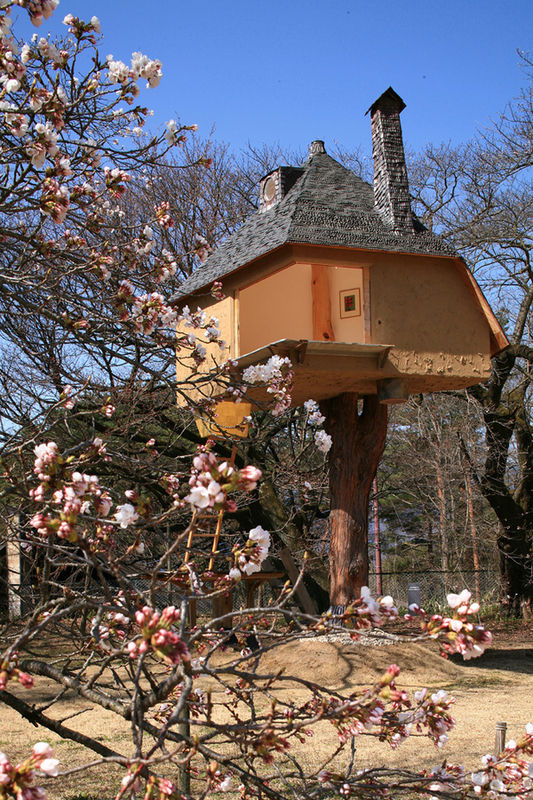 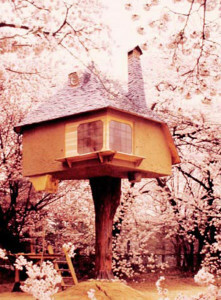 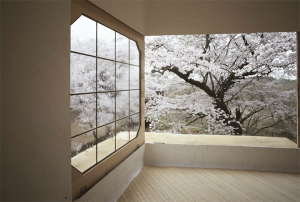 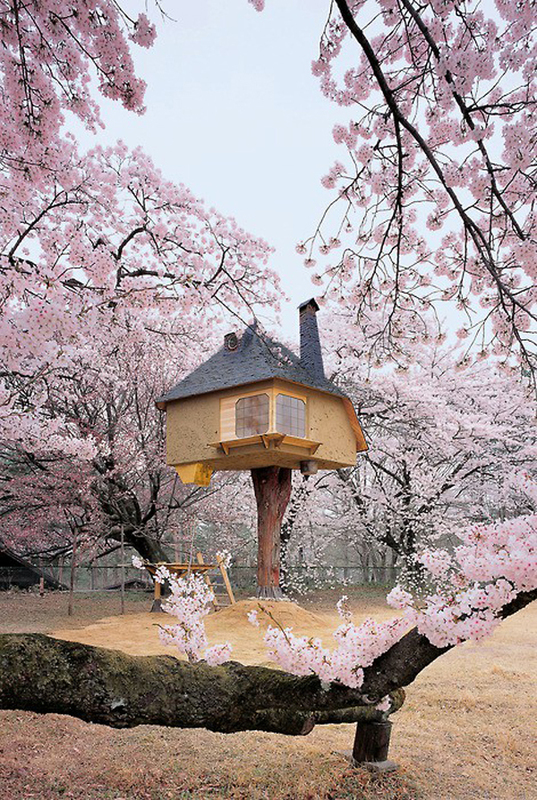 A tree house planned by the Japanese architect Terunobu Fujimori where you can enjoy a tea among the cherry trees! 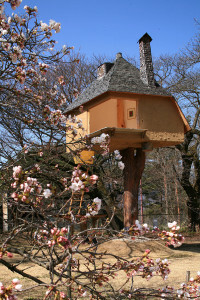 Terunobu Fujimori works just with natural materials such as earth, wood and stone, has dedicated his career to pioneering contemporary design with buildings “that float in the air” and roofs covered with living leek plants. 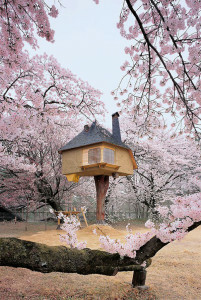 One of this floating architecture is the Tetsu tea-tree house; minimalist as the typical Japanese architecture, the interior of this tea-tree house is simple and modern, in contrast with the fantastical exterior that looks like a manga or a fantasy building. Inside there’re wooden sliding doors and shutters while the floor is covered with bamboo awning, people can reach the house by a wooden ladder and enter through a hatch on the floor. 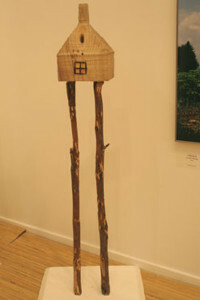 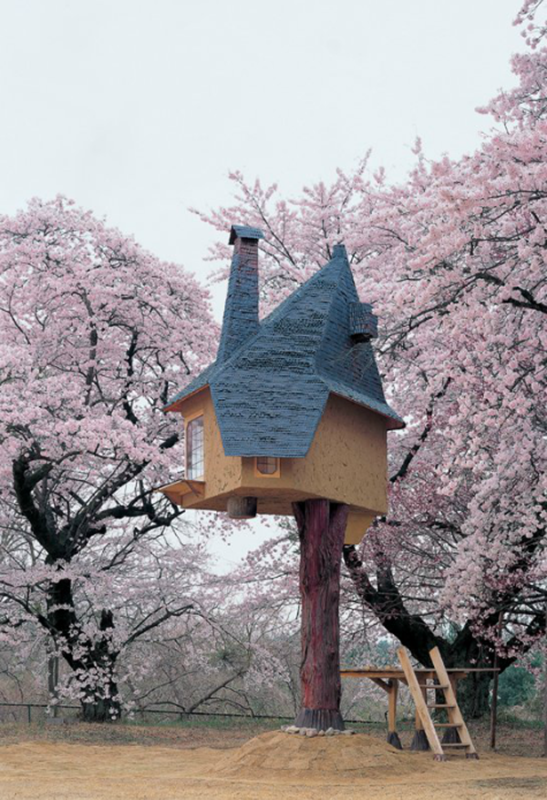 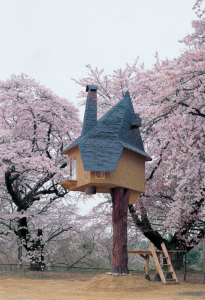 This tea-tree house represented Japan at the Venice Biennale in 2006 and it’s now visible at the Kiyoharu Geijutsu Mura (Kiyoharu Art Village) in Nagasaka (Japan).